Whether you’re start-up or you’ve been in business for years, Ncutt can help establish or upgrade your brand’s image. Companies can evolve over the years and it could be time to redirect your marketing emphasis. It’s important that your goal, products and services are reviewed and target market(s) is clearly defined. Starwood Ampitheatre, a 17,000 capacity outdoor venue desired to rebrand themselves for their 20th Anniversary. Ncutt was tasked with creating a branding campaign. The “We Do It Outdoors” campaign came to life through multiple vehicles. 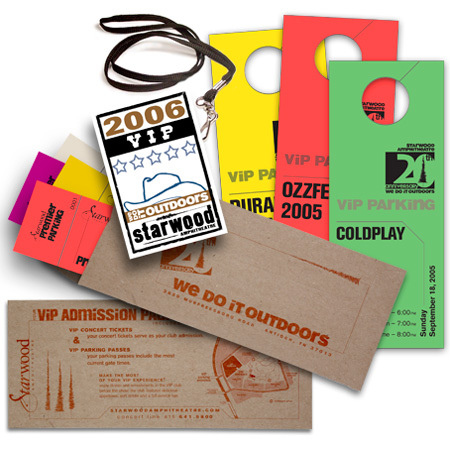 Shown are the VIP Packages, designed with fun in mind. creative value: Never assume the public knows who you are — generations of patrons grow & move.